I am developing a brand new project that will run for years called Crusades: War Stories. It will be an ongoing series of shorter stories. They will be cheap to buy, or free to read via Kindle Unlimited. Expect such stories as Churchill’s Lost Fleet, Valentine’s War, Spartan’s time as a pit fighter and dozens more. 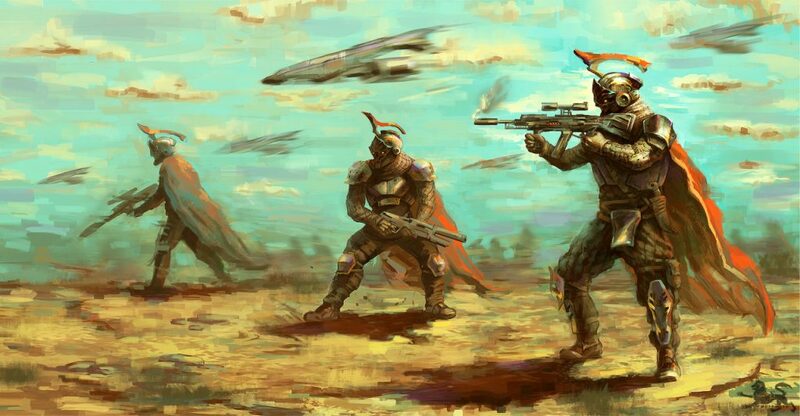 If there’s a battle, character, ship or event you’d like to hear more about, let me know. It might become a War Story! War Stories will cover all the eras in the Star Crusades series, even the dark times of the Great War! For now, which of these story ideas do you like the most? If you have other ideas comment at the bottom of the page, or pop to my Facebook page here, and add a comment with your thoughts! MIRROR EMPIRES – OUT NOW! 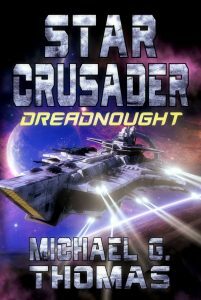 Nate and his friends are given the chance of a lifetime, a six-mouth tour aboard the Alliance’s newest battleship, ANS Dreadnought. She’s the first in her class, and is the most powerful ship in the sector. Bigger and better protected than any ship before her, Dreadnought carries an arsenal of deadly weapons that can annihilate a small armada and can travel between the stars in a matter of days. There is no deadlier vessel in existence. What book sounds most interesting? I have a number of projects on the go right now, bit I’d really like to know what you all think. I will be writing all three, it’s just a case of which one come out in January. Sky Legions is a new project that has interest for release in multiple formats (possibly TV!). Which of my book series are you most looking forward to? This poll will be active for a week, so get involved! The right answer is Sky Legions by the way! Sky Legions of Khartoum Yes, you heard it right. This is a brand new series I’m working on as part of a TV pitch. A military science fiction adventure that pits humanity’s soldiers against a brutal alien society. 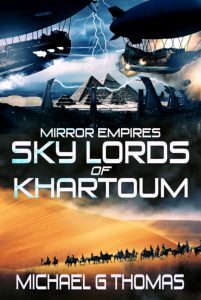 A young aeronaut crashes his experimental airship in front of the fortified city of Khartoum, just as it is stormed by an entire army of colonial soldiers. As they enter the ruins they find a portal to a mirror world populated with towering cities in the sand, and filled with bizarre and deadly foes. Before they know it, the entire expedition finds themselves embroiled in a brutal civil war with sophisticated enemies that will stop at nothing to destroy them. Flying creatures and alien technologies are pitted against the finest weapons of the steam age in a violent battle for supremacy. 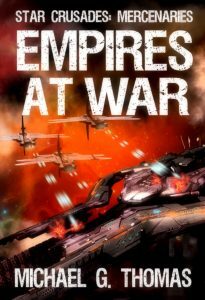 The first book in the brand new Mirror Empires series. Star Legions: The Terran Wars Xenophon is back! The action kicks off with the Laconians and their new reinforcements heading back to Median Empire for some payback. Many of their number are previous members of the Ten Thousand. All is not as simple as it appears however, and the God King of the Medes is a cunning foe. Why fight your enemies when you can turn them against each other? Valentine’s War Valentine is a war hero, crippled in her first major campaign. When war erupts on a foreign world she’s given a unique chance. She can join an elite unit made up of broken soldiers, and converted into something deadly. 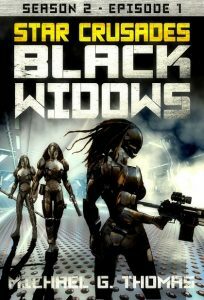 Black Widows Season 2 is out shortly, but I’ve got a large number of projects on the go. It is always useful to know what my readers are looking forward to the most. I can’t promise anything, but I will do my best to release sequels as quickly as possible. Also, I will never cut a series short, even if it is less popular. Everybody deserves to know how the story ends. Me included! This poll will be active for a week, so get involved! What book would you like to see next? THE WINTER WAR – OUT NOW! 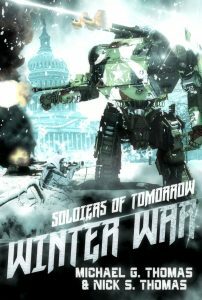 Soldiers of Tomorrow: The Winter War is out!